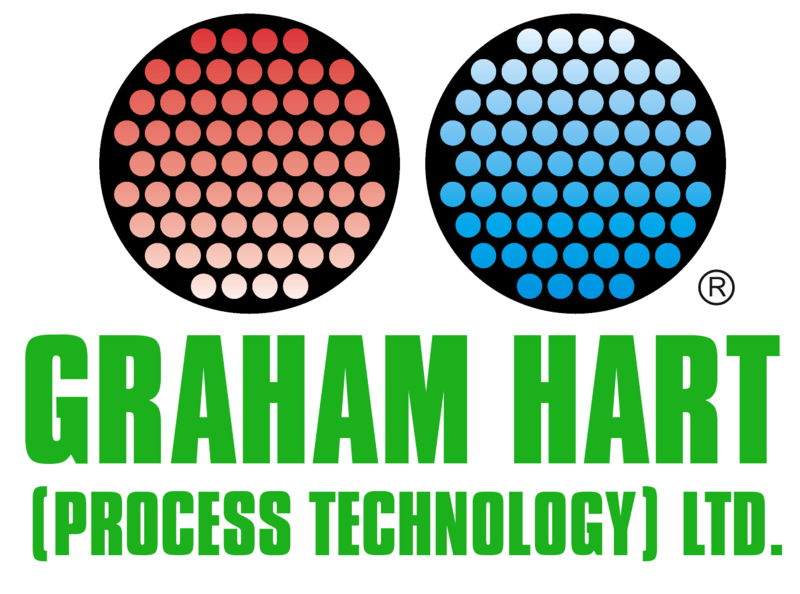 News | Design and Manufacture of Heat Transfer Equipment | Graham Hart (Process Technology) Ltd. When a long standing client threw down the gauntlet, we jumped at the challenge. We've supplied HPHT heat exchangers all over the world, for many years, but their request took us to the next level in tolerance requirements. The units use composite material tubesheets with thickness’s in the range of 265 mm to 375 mm, containing holes with a 20D drilling ratio and weighing in at up to 6 tonnes each. We utilise hundreds of individual measurements on each tubeplate to prove our ability to meet the exacting requirements on hole tolerances, perpendicularity and parallelism. Some of these tolerances exceeded the best known Nuclear requirements in our industry. 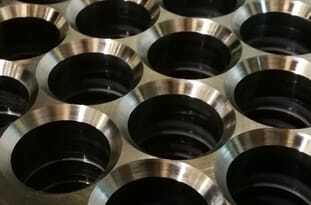 The finished tubeholes, combined with our class leading tube end welding and proven gasket sealing technology, enabled us to confidently design and manufacture these units for critical service pressures exceeding 400 bar and temperatures in excess of 300 degrees C. An example of UK manufacturing at it's best. 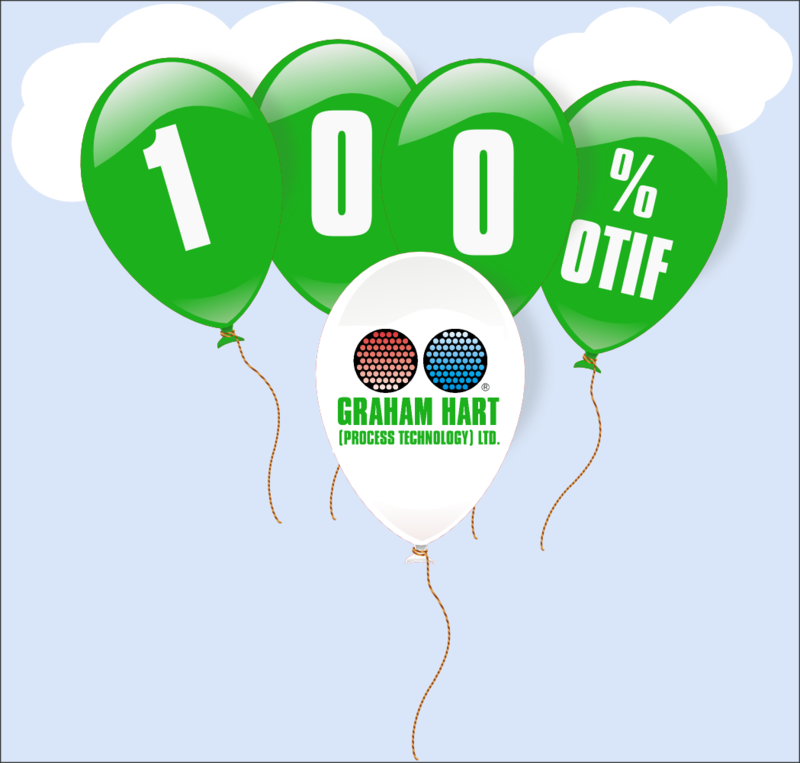 Our OTIF (On-Time In-Full) statistics have been completed for 2018 and we achieved a massive 100% for delivery and completion on every project for the year. In beating our 2015 score (99.4%) we also reflect on the fact that this was achieved in our environment of bespoke high integrity pressure equipment projects. The reliable and dependable delivery of projects is now reflected in increased sales to existing customers and the engagement of multiple new customers. This achievement would not have been possible without the dedication and hard work our employees and the performance of our partners in the supply chain. We say a big "Thank You" to all involved. 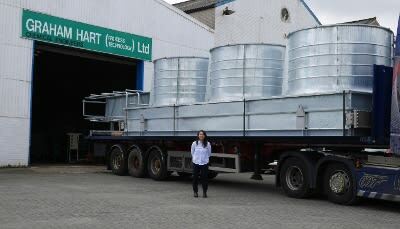 A High Integrity Air Cooled Heat Exchanger, destined for a high profile UK site, located next to a school. Similar applications with high environmental concerns became the driving force behind the development of our UQ (Ultra Quiet) range of air cooled heat exchangers. Featuring 'low noise' fan technology, variable speed motors and a number of other proprietary features, to deliver outstanding results - whatever the season. Designed inherently to accommodate for fouling on both the air and process sides of the equipment, these exchangers can be supplied with mounting supports, ladders and access platforms, as shown. AspenTech, the leading supplier of software for process optimization, approached us with the proposition of basing a case study around our company. They were looking for an aspenOne suite user, that operated in the high integrity, bespoke end of the market. "Graham Hart were a natural choice in this market. With a history of using our software dating back over 30 years and operating in the field of critical applications, they ticked all the boxes" said Martin Bass, Senior Account Manager, Aspen Technology. To read about how Graham Hart delivers Highly Engineered Heat Transfer Equipment with aspenONE ® Engineering Suite, download the case study. We have always known that our apprentices excel, but it's great for them to get outside recognition. Glyn and Adam are both in our Higher National Certificate apprentices programme in Mechanical Engineering and both have had recent successes. Glyn has graduated after six years of studies. He joined us in production and has worked his way through the company, experiencing and understanding life in different departments. We are really proud of Glyn and, as with all our Apprentices, he is a major part of the fabric and future of our company. Adam is in his third year and has been put forward to represent Bradford College in the WorldSkills UK Competition. The events challenge their skills and knowledge with the first being a series of tests in Computer Aided Design. We wish Adam every success and we know that he will rise to the challenge. In March, our Chairman Graham Hart completed his year as President of the Heat Transfer Society. Graham joins a list of distinguished names in the Heat Transfer World and we are very proud of his achievements. Recently the Nuclear Advanced Manufacturing Research Centre (NAMRC) wrote a Case Study on Graham Hart (Process Technology) Ltd. and our involvement in the Fit 4 Nuclear programme. To read what they had to say about us, download their article here. In November, Sue Tabbit wrote an article in the Guardian Newspaper with the title "Light at the end of the tunnel seen for UK manufactureres". Graham Hart (Process Technology) Ltd. were asked, as a manufacturer and exporter, to comment on the current situation.